We promised to make this as easy as possible -- no need to scour endless Google listings and wedding directories. Here are the best of the best (and some we even hired for our own wedding!). From "getting ready" all the way to your dance + exit, we will work with you to plan out your ideal wedding day timeline to ensure it runs smoothly and stress-free. To learn more about what our timelines look like, check out some of our sample timelines. Elopement vs Intimate Wedding: What is the difference? 10 Things To Do When You Get Engaged! Behind every wedding day is a dedicated team of wedding professionals working to create the perfect day for you! You've got the ring and the planning has begun. We'd love to help you make this planning process a little bit easier! Below, you will find some of our favorite vendors -- these tried-and-true vendor friends can help you create the wedding of your dreams and help you to avoid the never-ending spiral of Google searches and wedding directory listings that you weed through as a bride-to-be. NOTE: You will see a * next to the vendors that we hired for our own wedding day! *Minted.com - use code PHOTOPROLROBINSON for 15% off of your order! Looking for something else? Just ask! One of our complimentary services is the custom creation of an ideal wedding day timeline to help create the best possible "flow" to your wedding day. We'll help ensure there is plenty of time for beautiful photos + we'll cover all of the important events of the day! Wedding days are BUSY and we want to give you the BEST images possible. As we work together to create a custom, detailed timeline based on your unique wedding day, we will take into account your ceremony + reception locations and times, travel times, sunset time, getting ready locations, etc. We want to give you a smooth, enjoyable and unforgettable experience and even better images! By creating a detailed photography timeline, we'll have the assurance that all of your important moments will be captured, and we'll be able to plan for pockets of time to relax and enjoy the day. All together, you will have amazing photos of the best day of your life and we will manage the timeline for photos. IN THE EXAMPLES BELOW, ONE TIMELINE IS BASED ON RECOMMENDED MINIMUM TIMES FOR EACH PART OF YOUR DAY; THE OTHER IS AN EXAMPLE OF A WEDDING DAY TIMELINE WITH ACTUAL TIMES. Lunch - Make Sure Everyone Eats! Bride Hair and Makeup "Finishing Touches"
BEST TIME FOR PORTRAITS IS THE TIME FRAME in the last hour before SUNSET! As you're planning your wedding, we know you will have lots of questions about your photography experience! Here are some of the most common ones that we get. This is our honest feedback about how all of this works! After nearly 8 years of weddings, we've got things down to a science -- which means we can plan ahead and make sure your day is stress-free, joyful, and FUN! If you still don't have an answer after reading through, simply send over an email to info@laurarobinsonphoto.com. YES! 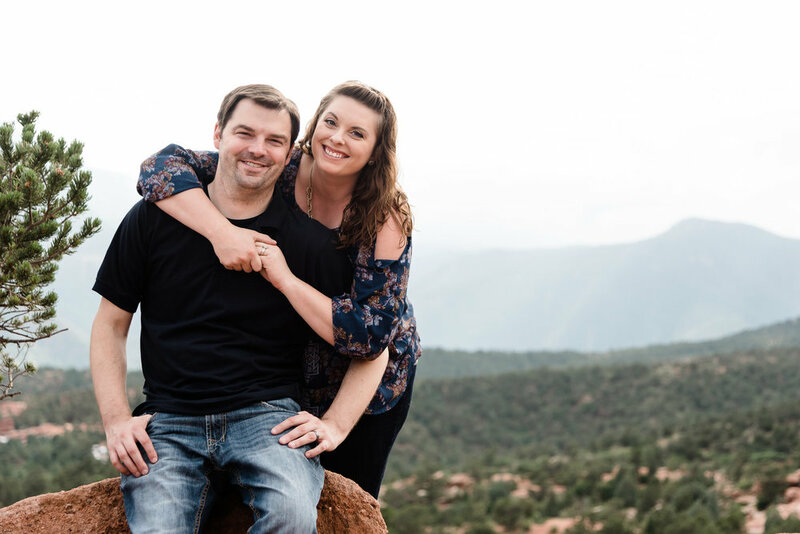 Your engagement session is a great way for us to get to know you as a couple and also gives you a great opportunity to practice in front of the camera. Not only will you shake the photo nerves, but we'll actually have a great time together... and we'll get you to stop "fake smiling" and dig out that real smile! Promise! That's up to you! If your collection includes an engagement session, simply email Laura and let her know you'd like to start planning your engagement session. Engagement sessions are typically scheduled 3-6 months prior to your wedding day; if you plan to send Save the Date cards with your photos, you'll want to plan additional time, since those are typically sent 5-6 months in advance. Engagement sessions are one hour long and scheduled Monday through Thursday only, as we have many weddings on Fridays, Saturdays and Sundays (and our rare, free weekend days we spend as a family!). We offer sunrise and sunset sessions, to utilize the best light of the day (sunrise + 1 hour or sunset minus 90 minutes). We can also accommodate late afternoon sessions as well. To schedule and help you plan for your session, we will send you our "Engagement Session Planning" questionnaire, which will cover a small range of ideas for scheduling, locations, hair + makeup, etc. If you need outfit ideas, check out our "What to Wear" inspiration board on Pinterest as well as our Rent the Runway Favorites on Pinterest as well. We highly recommend getting professional hair + makeup for your session! ANY TIPS TO HELP US LOOK AND FEEL OUR BEST FOR OUR PHOTO SESSION (OR WEDDING DAY)? HOW SOON WILL WE GET OUR PHOTOS BACK? After your engagement session, you’ll receive a link to view your gallery within 30 days, but most of the time, within 2-3 weeks, based on current editing volume and time of year. You’ll be able to download the digital files and purchase prints directly from your online gallery. Many clients also use their engagement photos for "Save the Date" cards, holiday cards, wedding invitations or even showcase them in one of our custom photo guest books or signing canvasses. If you're planning to send out Save the Date cards, please make sure to let us know, as you'll generally want to have those sent out 6 or more months in advance of your wedding date (longer if you will be inviting many out-of-town guests). To ensure your Save the Dates are sent in a timely manner, make sure to schedule your session AT LEAST 3 weeks in advance of when you'd like to have your cards sent out by; the earlier, the better! SHOULD WE DO A "FIRST LOOK"? If you've seen our galleries, you've seen MANY first look photos -- they are some of our very favorite of the entire wedding day! First Look moments are a private moment for just the couple (and photo + video!) to escape and have a first glimpse of one another on the wedding day! Over 95% of our couples opt for a First Look, versus the old tradition of "don't see the bride before the ceremony." There are two great benefits to a first look. First, if allows you to see the person you love most in this world and get to hug, kiss, twirl around and savor the moment when you're finally about to get married (instead of standing in front of everyone you know and nervously waiting to kiss for 30+ minutes!) This was our personal favorite moment of our entire wedding day, and the same can be said for many of our couples! Secondly, and most importantly from a photography perspective, it allows you infinite control over the timeline of the day. It also can DOUBLE or even TRIPLE the amount of photos you'll have of the two of you, your bridal party, and your immediate family. All of our blog posts and client galleries that show a wider variety of portraits and lighting on the wedding day have had a First Look. You can have your First Look, then complete your wedding day portraits of the two of you, then add your bridal party, and we can even get your immediate family photos out of the way -- by the time the ceremony ends, you can actually enjoy your cocktail hour (and so can your bridal party and family, versus taking photos when everyone just wants to party!). We generally take a few more photos after the ceremony of just the wedding couple (because now you're newlyweds!) and if sunset is later, we'll grab a few more minutes of portraits when the light is soft and pink/golden within the last hour before sunset. A secondary reason for a First Look is that IF the timeline runs behind or your venue needs to flip the space, etc... you can dramatically lose time for portraits on the wedding day... which in turn leads to stress and less photos of the people you love and photos of the two of you on the best day of your life! We aim to do the "work" ahead of the ceremony, and stick to the "pure fun" as much as possible when the ceremony is over and it is time to party! You'll never regret having a First Look with your spouse, basking in the glow of your wedding day and being together in that moment. We like to get away from the family and bridal party so that this moment is only the two of you. If you do choose to follow an old tradition to wait until the ceremony to see one another, please plan for at least 2 hours between the end of the ceremony and the start of dinner to ensure we have enough time for portraits. If your venue is being "flipped" from ceremony to dinner space, it is usually a 60-90 minute process anyway. IF WE DON'T DO A FIRST LOOK, HOW MUCH TIME DO WE NEED TO ALLOCATE FOR PHOTOS AFTER THE CEREMONY? If you desire to wait until the ceremony to see one another, we will need a minimum of 2 full hours after the ceremony ends to complete all of your immediate family portraits (30 minutes), wedding party portraits (30 minutes), and bride and groom portraits (60 minutes). So, if you have a 30 minute ceremony that will end at 4:30 or so, you would have a 4pm ceremony time and a 6:30pm grand entrance, with a roughly 6:45 dinner service time, assuming you're at the same venue / no travel time. If you have any questions about how the timing of the wedding day works with no first look, please connect with us! WHEN CAN WE START PLANNING OUR TIMELINE? Take a look at our sample timelines and you will be able to estimate (roughly) how much time things will take on a wedding day! Planning for ample time and quality natural light is crucial to getting the most out of your photography experience! As we head toward the wedding day, we want to be intimately involved in the details of the wedding day timeline. If you have a wedding planner or a day-of planner at the venue, please have them connect with us to discuss any time constraints. While a wedding planner might believe that 12pm at high noon is the best time for your couples photographs, we will recommend that we set aside most of our bride+groom portrait time in the late afternoon/early evening or closer to sunset to ensure the very best light for your images. We want to know all the little details, everything from where everything is happening, all the way down to what type of fastening does your wedding dress have (since a zipper takes less time to fasten than a corset!). We will also go over who should be included in your family + group portraits. And certainly, we also want to know who all of the vendors are that will be involved on the wedding day, so that we can coordinate ahead of time, if need be. We will help you plan out the ideal timeline for the day, which makes your day flow smoothly and stress-free! If you want to take photos at multiple locations, we have to plan for that. If you are getting ready 30 minutes from the venue, we need to plan for that! We are pros when it comes to making sure you have a great time AND we have enough time to create the amazing images you're hiring us for! Roughly 60 days before your event, we will send you a series of questionnaires so that we can complete your wedding photography timeline: Wedding Details, VIPs + Vendors, and Family / Group Portrait Checklist. Upon completion, we will draft the actual photography timeline for the day and send it back to you. Please fill them out thoughtfully and completely -- this is important for our process, before, during and after the wedding. In the end, our goal is to know as much as we can ahead of time so you can relax and enjoy your day! WHO SHOULD WE INCLUDE IN OUR FAMILY / GROUP PORTRAITS? When planning your family and group portraits, many couples want to include all of their immediate family, the cousins, the aunts and uncles, the godparents, etc. The rule of thumb is that each group / photo set-up will take 3-5 minutes to photograph. Larger group photos have to be intricately timed and coordinated in order to work -- for instance, at the end of the ceremony, or on the dance floor after the cake cutting! However, due to logistics, many couples will forego formal portraits outside of their core immediate family -- parents, siblings, children, grandparents. Immediate family (all parents, bride's parents, groom's parents, bride with mom, bride with dad, groom with mom, so on and so forth) is generally about a half hour for timing, provided that all family members are present and accounted for. During the planning process, we have a handy checklist that allows to you simply check the box if you'd like to include a specific combination in your family and group portrait time. If you're including any additional combinations outside of the immediate family members, we require that you have a wedding coordinator or designated family member in charge of coordinating family members for the group portraits. It is a best practice to do as much of the "work" as possible before the ceremony so that everyone can shift their mindset to "party mode" upon the completion of the ceremony! In short... it is strongly encouraged to take as many family photos prior to the ceremony as possible. This allows your family to visit and attend the cocktail hour, as we will typically lose someone at a critical photo time -- someone leaves to go get a drink at the bar, or goes to say hi to Aunt Sally and misses their planned photo time. We realize that this isn't always feasible, and that's ok! We will happy take any and all family and group portraits that you desire on your wedding day -- these are your memories! We just want to help you plan and coordinate enough time for them -- and avoid "photo burn out" before your reception has even begun. SHOULD WE DO A RECEIVING LINE? OR DISMISS OUR GUESTS? While greeting your guests is an important part of the wedding day, most couples now opt to greet their guests during the cocktail hour and during the reception itself throughout the night. While your parents may have had a line of people 200+ deep on their wedding day, most of our couples forego them. On average, a receiving line takes 45+ minutes to complete, which requires a delay to any additional, important family photos or newlywed portraits. It is much more common now to have a glass of champagne in hand and greet your guests more casually during the reception and not feel rushed! HOW WILL YOU INTERACT WITH US ON OUR WEDDING DAY? On the wedding day, we are equal parts "hidden ninja" and "cheerleader with a smile". For much of the day, we will simply observe or simply guide you to better light. Other parts of the day (like family portraits! ), we will direct and take control so that we can get them done efficiently and so you have beautiful photos to last for generations. Sometimes we'll tell bad jokes to make you laugh or give you a hug and calm your nerves. To us, you're family! We don't just take photos.... We laugh with the groomsmen and dance with Grandpa. We cry during the vows (ok, Laura cries...). We dance with you on the dance floor and can even take photos at the same time -- true fact! We are hidden ninjas when it is appropriate and we are not afraid to get crazy close/high/far away to get "the shot". You are paying us to document the day the way it FEELS, not just how it looks. We might look silly or crazy, we might stand on chairs, lay on the ground, or hide in bushes.... but we promise you one thing -- beautiful, emotional, creative, AMAZING images! All we ask for is TRUST. WE WANT TO DO SPARKLERS / FIREWORKS FOR OUR WEDDING! DO YOU HAVE ANY ADVICE ON WHERE TO GET THEM? WE LOVE SPARKLERS!!! For any type of pyrotechnics (fireworks, fountains, etc), please make sure you are hiring a professional pyrotechnics team! For sparklers, other safety precautions need to be taken prior to lighting the sparklers as well. If you're interested in doing sparklers for your wedding, for best results, we strongly suggest THESE LONG BURNING AWESOME SPARKLERS. It is very important that your burn time is at least 2 minutes and that the sparklers are SMOKELESS -- this is critical otherwise the photos will not turn out at all due to smoke. Also, please note, that we do not allow the sparklers to be lit until we (photography team) are ready, AND the couple (you) is ready as well to avoid over-eager guests lighting sparklers and burning them up before you get a chance to run through them. No worries, we'll direct everything! Simply make sure you have plenty of sparklers for your guests, several lighters to hand out to strategic guests prior to commencing lighting, AND a few safety buckets of water + a disposal bucket for used sparklers upon completion. Note: most sparkler exits aren’t an exit — they are simply a fun photo op with the wedding party + some family! We don’t need to wait until the end of the night to create these amazing images (and you don’t need to pay us for overtime!). Sparklers are amazing, but they do take a little bit of planning! Please contact us if you have any additional questions or concerns we can help you with. Not only is rain considered "good luck", but you can rest assured that we have your back too! We offer an exclusive benefit to our LRP wedding couples -- our "Rainy Day Guarantee"! If it rains on your wedding day and delays or cuts short your portrait time, we will offer you a complimentary newlywed portrait session, on us! While we cannot control Mother Nature, we can absolutely make sure you get some amazing portraits outdoors if you desire. All "Rainy Day" sessions, if needed, are held Monday-Thursday only, and at a location of the Photographer's choosing. You show up in your wedding day finery and add in professional hair + makeup and some flowers (your florist can replicate your bouquet!) and bingo! WE ARE HAVING A WINTER WEDDING. WHEN SHOULD WE HAVE OUR CEREMONY START TIME? Winter weddings are unique, as we lose natural light here in Minnesota as early as 4:30pm! You can check the sunset time for your wedding date here (or simply Google Search "time of sunset on [wedding date] in [city of wedding] and Google will just tell you!) Unless your venue is completely closed off from natural light, we strongly advocate for allowing natural light to help light your ceremony space. Many beautiful venues really shine in natural light, versus using flash to create light to light up your ceremony. Our rule of thumb is to start your ceremony at least ONE HOUR prior to sunset. Unless you're having a candlelight ceremony in the dark, we strongly encourage an early start time in the winter, as well as a First Look to ensure all portraits can be taken in natural light whenever possible (as that is what you primarily see in our portfolio -- and we want to make sure we can be true to our style and why you hired us!). When we get home from a wedding day, we are TIRED! We've basically been running laps, doing squats, carrying heavy camera bags and there isn't much energy left... but we will always start uploading all of the photos from our memory cards onto 3 separate computer storage devices -- two external hard drives and a third backup to "the cloud" for safekeeping. Next, we have to start going through the few THOUSAND images that we've captured of your amazing wedding day -- this does take some time!! We go through and "cull" down to our favorite 1000-1300 images... and from there, we will eventually narrow that down further to about 700-1000. We'll select only the BEST images from the day, so you won't have 5 of the exact same pose... but you might have two! Especially with family and group portraits, we want to ensure you have choices! We do typically share a sneak peek on social media. If you're planning to use your images for Thank You cards, please let us know and we will get you a few images to use. THE BURNING QUESTION WE ALWAYS GET -- HOW SOON WILL WE SEE OUR PHOTOS? In a perfect world, the answer is "AS SOON AS POSSIBLE!!". In reality, we do have an editing queue that we stick to, based on the order of events. Once your images are backed up and we've had a chance to go through the images from the day, we will generally send a sneak peek containing a few edited photos (usually 4-6 images) that you can share and/or use for Thank You cards within a few days. The rest of your gallery will be under wraps until we're ready to debut it to you at our studio! We will edit 700+ images and put our very favorites from the day into a beautiful slideshow set to music. You won't just get an online gallery from us.. you'll get to EXPERIENCE your photos when you see them for the first time. Your final gallery will be ready within 90 days from your event date! You will be the first to know when it is ready -- no need to check in to see how soon they will be ready. Believe us, we know how excited you will be!! We are JUST as excited to show them to you upon completion!! OK, SO YOU WILL TELL US AS SOON AS THE IMAGES ARE EDITED SO WE CAN SCHEDULE OUR REVEAL AT THE STUDIO?! You'll receive an email from us as soon as we are ready to schedule your reveal! Not only do we prepare your slideshow, but we'll also upload and organize your complete online archival gallery, create your blog post to share with family and friends, and we'll design the first draft of your wedding album! We take all the work out of this process so you can enjoy your memories instead of making more decisions! WHAT HAPPENS AT OUR REVEAL? You've been waiting patiently and now you get to see your stunning wedding images for the first time! To us, this is the most special part of this entire process (aside from the whole "I Do" part!). Once all the editing is complete, we finally get to invite you back to our studio to see your images for the first time. As you sip on some champagne, we will celebrate and relive the best day ever!! NOTE: If you are one of our out-of-state or destination wedding clients, we have a similar, but different process for your reveal. But we do try to preserve some parts of the fun for you! During the reveal, you will see a slideshow of our favorite images of the day, along with a pre-designed album draft. Your full gallery is also available (and you'll be able to look and enjoy them forever!). As you reminisce about this incredible day, we will also share our favorite moments with you and tell you more stories about what we saw and heard and experienced. We are storytellers at heart, and we want to bring your images to life by sharing these memories with you. We will also be able to review sample albums and wall art as you discuss how to display your beautiful images for generations to come. WILL YOU DESIGN AN ALBUM FOR US? Absolutely! Whether you've already decided to purchase an album or not, we always pre-design an album for you to view during your reveal appointment, taking all the guesswork out of "how on earth do we pick our favorites?!" About 80% of our clients make zero changes to their album draft, about 20% make one round of images swaps or adds. In the past, our couples got to see all of their images first and then had to decide how to narrow it down from 1000+ images into their favorite 100 or so for their album.... this process would take MONTHS (and on a few occasions.... YEARS!). To make it simpler and easier for all of us, we now pre-design an album for all of our clients. All that is left for you to do is decide if you want to add more images, remove or swap any images, and choose an album cover! SO EASY! The album design process generally takes about two weeks, depending on how quickly you choose your images and finalize any changes to a draft of your album design. Once the design is approved, it can take up to 6 weeks for us to receive your handcrafted Heirloom Album at our studio. After a final inspection, you can pick up your album at our studio or we will ship your album to you with a signature requirement; we do not allow your investment to be delivered to just anyone or left on a front porch in the rain! You may also opt to pick up the album directly from us -- we do LOVE to see our clients' faces when they see their first family heirloom in print! If you'd like to order wall art, canvas, metal prints or any other artwork, we will happily design a mock up for you, with a generic wall or with a photo of the space in your own home that you want to fill. CAN WE PURCHASE PARENT OR GIFT ALBUMS? ABSOLUTELY! Our parent / gift replica album designs are fantastic gifts for your parents, grandparents or other interested parties. We offer exclusive discounts for replica album designs (duplicate layout to the master wedding album). Contact us for current pricing at any time! Depending on the design, we can get a handcrafted album to your doorstep in as little as 3 days! HOW SOON WILL WE RECEIVE THE ALBUM(S) WE ORDERED? Typical turnaround time from our lab for production + shipping is around 4-6 weeks. This time may fluctuate depending on the time of year -- this is the time it takes after a completed design is submitted to the lab, so please plan accordingly if you plan to give albums as gifts for holidays, birthdays, etc. If you're considering albums as Christmas holiday gifts, our lab does institute an early December cutoff date for on-time delivery for the holiday -- please reach out if you have any questions or concerns on timing. WE WANT TO ORDER AN ENGAGEMENT GUEST BOOK ALBUM. HOW CAN WE DO THAT? Sure thing! Simply email Laura and she will send you an invoice and a custom design shortly thereafter. Once you approve the design, we'll get it sent off to our printer and they will handcraft your album. You can pick up from our studio or we can ship it to you for a small fee. Turnaround time is roughly 2 weeks, so all engagement album orders must be placed NO LATER than 1 month prior to your wedding date to be designed and received in time. WE'D LOVE TO ORDER SOME CANVAS OR FRAMED PRINTS FOR OUR HOME (OR PARENTS, ETC). HOW DO WE KNOW WHAT TO ORDER? CAN WE SEE A DESIGN? Great question! We are happy to provide you with our expert art consultation and design services! We use a special state-of-the-art visual art system that allows us to mock up your desired wall art canvas, framed print or other wall art. We can even use your very own photo of your wall / stairwell / etc. We can also design using one of our stock room images so you can see size for scale. Even better -- all artwork options you purchase through our studio are of archival quality with superb materials and outstanding color quality, and will last for generations to come. HOW CAN WE USE OUR IMAGES? DO WE GET THE COPYRIGHT? There has been some confusion in the digital age from photographers who have misused the word "copyright" when describing usage terms for clients. As the artist(s), we retain the copyright of the image under US Law. However, we give you a perpetual, personal use license, that basically says you can print, share, download, etc as much as you want! You simply cannot alter the images (such as extreme crops, edits, Instagram filters, etc) and you cannot sell the images. We include a print release for images printable up to an 8x10 size for archival purposes. You are welcome to share your blog post or download your images and share directly via email or social media. We want you to see and love your images forever! Make sure your memories are preserved with a beautiful heirloom album, prints, canvas and more. Yes, you can print your photos! The best option is to simply order your desired sizes of professional prints right in your online photo gallery. Our affordable print options start at just $5! If you wish to print elsewhere, please note that our print release option requires that you use a consumer-grade professional print lab to preserve the integrity of our art and editing colors (such as MPix or Adorama), and not a retail fast-photo service (like Target, CVS, etc). HOW SHOULD WE CREDIT THE STUDIO WHEN WE SHARE OUR IMAGES? Great question! On Facebook, simply "tag" Laura Robinson Photography in your caption. On Instagram, please share a photo credit to @LauraRobinsonPhoto in the caption of your image (and “tag” us in the image, too!). "Word of Mouth" marketing is our most important source of referrals, so thank you for properly crediting our studio when you share our images online! Now all of your friends will know who took your amazing photos -- we would love to work with them, too! SHOULD WE BACK UP OUR IMAGES?? YES, YES, YES.... a thousand times, YES! Upon receipt of your online archival gallery link, please download your entire gallery. Individual photos may be downloaded one at a time via phone, tablet or computer. However, if you wish to download multiple images at one time, or your entire gallery, you must download the entire gallery on an actual computer, because the files are delivered in a ZIP file. You must download the ZIP file and extract the files to your own computer, and then upload them to your own CLOUD-BASED drives (Dropbox, Google Drive, OneDrive, etc). We recommend at LEAST 2 backups of your complete gallery (and be sure to double check that all files have uploaded!). However, the only sure way to ensure your images are in-hand is to print them. WHY ARE YOU ALWAYS TALKING ABOUT ALBUMS AND PRINTS AND CANVAS?? CAN'T WE JUST UPLOAD THE GALLERY TO FACEBOOK AND CALL IT GOOD?! No. That is the long and short answer. Sure, you can put a single copy of your images on Facebook, if that is your desire! BUT... If you value your memories, you will back up and print your photos and keep them safe and on display somewhere OTHER than a social media account. Why? Because Facebook has evolved and changed over the years (Laura has been on Facebook since 2004... old pictures are no longer available from that first year or two!). In reality, there will be other social media platforms over time and you cannot guarantee that Facebook will be around in 30 or 50 years! How then do you plan to show your grandchildren what your wedding dress looked like? PRINT YOUR PHOTOS. Show them off, display them proudly and be reminded of the love and joy that surrounded your wedding day. DID WE MISS ANYTHING?! LET US KNOW AND WE'LL BE SURE TO ADD IT TO THIS HELPFUL GUIDE TO MAKE SURE OTHER CLIENTS KNOW THE ANSWERS YOU SEEK AS WELL!